As work continues on Metal Gear Solid: Peace Walker, Hideo Kojima is already beginning to work on his next game - a game that will include giant robots. 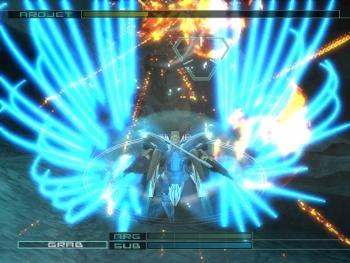 Zone of the Enders 3, anyone? Hideo Kojima may be hard at work sneaking Mountain Dew T-Shirts into Metal Gear Solid: Peace Walker, but he's also hard at work planning his new game - and Tweeting about it. One casual Tweet, however, may have revealed something unexpected about the legendarily eccentric designer's next product: It'll have giant robots. "I'm thinking about the casting for my next title. The project plan still hasn't reached a detailed level, but everything is advancing simultaneously in my head. Title, game design, story, characters, setting research, the mecha that appear, casting, graphic direction, sound, beginning and ending, the major story sequences. It comes together naturally in my head." Sounds about right, doesn't it? He's already planning the story, the characters, the design, the mecha ... wait, what? The mecha? Yes, we now know for sure that Kojima Productions' next game will involve giant fighting robots in some capacity. But what does that mean, exactly? Smart money says that the game in question is a new Zone of the Enders, a game that Kojima wants to make, and a game that he has explicitly promised fans will happen someday. However, that's by no means a sure thing - the titular Metal Gears are mecha, aren't they? Or, it could be something completely different, like the new franchise he mentioned last year. One thing's for certain, though - if Kojima makes a mecha combat game that isn't ZOE3, people are going to be pissed.